What are you looking for? Press enter to search. Get up-to-date news, best practices, and insights for the affiliate marketing industry. 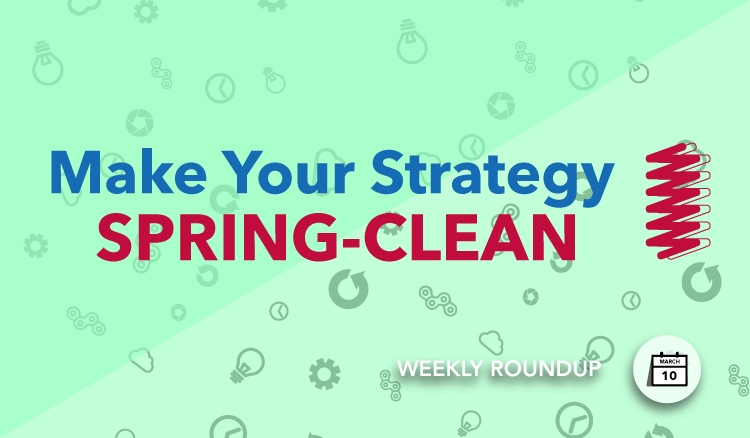 This week, we dip into the archives to give you some excellent strategies to start off spring. Below, we offer merchants a guide to recruiting, and useful tools and tips for affiliates to present the highest quality product reviews. Also check out the newest bunch of merchants below. There are some great ways to capitalize on spring time shopping and adventures with the newest programs on AvantLink. This week, we want to offer a couple useful tips for merchants and affiliates that can add efficiency to your routine. First, let’s look at recruiting. For merchants (and affiliates should pay attention here too) recruiting can be time consuming, but it’s really the best way to get more eyes on your products and build better partnerships. Follow these steps to up your recruiting game. Learn what affiliates look for in a program. Learn to use the AvantLink recruiting tool and get our best practices. And learn to compose the most effective recruiting emails. Next, product reviews. What’s the best way to approach them? Here are some useful articles and tools to help yours stand out. Read how some of the top affiliates on our network make the most of product reviews. Learn about tools that help you find and display products and how you can even develop your own ideas into apps. Learn to use the Product Ad Widget to optimize your reviews. Freewaters footwear is designed for comfort and carries the message of social responsibility. Point your feet in a more progressive direction–each pair of shoes sold supports clean drinking water projects facilitated by Freewaters. Earn 5% base commission on each sale on a 30 day cookie with the Freewaters affiliate program, exclusive with AvantLink. Ontaro Knife Company brings 125 years of experience creating tools, knives, kitchenware, and even science and medical tools to AvantLink affiliates. Earn 8% on a 30 day cookie with the Ontario Knife Company affiliate program, exclusive on AvantLink. iTrekkers offers guided outdoor adventures designed to make lifelong adventurers of their customers. They facilitate the highest quality guides and gear for their trips to keep you coming back. The affiliate program offers an outstanding 10% commission on camping, hiking, and paddle board tours and 5% on fishing treks, on a 45 day cookie. Learn more about the iTrekkers affiliate program, exclusive with AvantLink. ScoreBig is your ticket to events–concerts, sports, theater, and more. Earn from a tiered commission scale based on the value of your sale. Learn more and start promoting today for the ScoreBig affiliate program. Grow your sales with quality partnerships and next-generation affiliate technology. © 2015 AvantLink. Made for you with in Park City, UT. Copyright © 2019 AvantLink | Affiliate Marketing Best Practices and News. All Rights Reserved.